Selected from nearly 4,900 submissions representing 29 countries around the world, these 10 finalist ads include a record four international finalists, setting up the possibility that a filmmaker from outside the U.S. could take home the top prize for the first time in contest history. 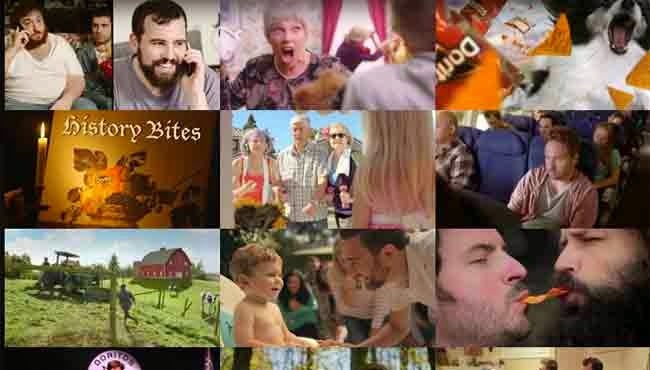 Two finalist ads will air during the Super Bowl XLIX broadcast, one selected by fan votes on www.doritos.com and the other by the Doritos brand. The creator of the ad receiving the most fan votes will win a guaranteed $1 million grand prize, as well as an opportunity unlike any other in the history of the contest: a chance to work as a contractor for a full year onsite at Universal Pictures in Hollywood, where they will lend their creative talents to a variety of projects, including future Universal Pictures releases such as "Pitch Perfect 2" and other big comedies. Watch all Top 10 Doritos Super Bowl 2015 Ad entries and vote for them on Doritos.com. Super Bowl Ads for Geeks reports about the Super Bowl 2015 Ads. You find the latest news about the Super Bowl commercials here.